On the March 31st 2019 statement our External Auditor, Carol Stoodt, will be doing our 100% verification of all statements. Please examine your statement and if it is not correct, communicate directly with the Supervisory Committee’s External Auditor, Carol Stoodt. Her telephone number is (937) 935-3811. If no differences are reported within ten days, the statement will be considered correct. Do you have Sprint Mobile? LoveMyCreditUnion.org/SprintRewards to get your cash rewards back for banking with our credit union! We will no longer be posting night deposits on Wednesday’s. Our system will still post ON WEDNESDAY any credits, debits, or checks that you may have scheduled to hit your account. We check the night drop box at 8:30 AM Monday, Tuesday, Thursday, Friday & Saturday. We post Monday, Tuesday, Thursday and Friday all automatic credits and debits after posting your night deposits. If you make a deposit after these times, please call 422-2392 and leave a message so that we can get your deposit and post it to your account ASAP. Thanks! 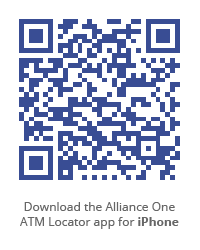 *Please note that if you make a deposit after the times listed above, you may accrue a fee if your account is negative. MASCU now requires our members who are traveling out of State, to use their debit card as a debit card, with your pin, and not as a credit card (swiping your card and then signing for your purchase). Only pin based transactions will be approved. Call MASCU and notify us of your travel plans. You will still have to use your pin, but we will notify our debit card processors so that they won’t deny your transaction. Carry more than one card with you. We suggest that you apply for a credit card in addition to your debit card. Always have a back up plan. If you have a MASCU debit card you MUST decide whether to opt-in or opt-out of the debit card overdraft authorizations. If you choose to opt in, MASCU may, at our discretion, approve your one-time debit card transactions even if your account balance may not show sufficient funds available to cover the transaction. If you choose to opt-out, MASCU will not approve your one-time debit card transactions if there are not sufficient funds in your account. Your transaction will be denied at the merchant. If MASCU does not receive a decision from you, you will be opted-out. You may opt-in or opt-out at anytime. Trying to Locate an ATM? 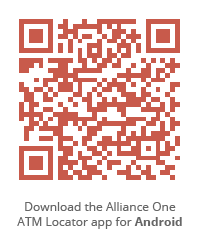 Scan either QR code based on the phone you have and make it easier to locate an ATM. Depending on your credit score, borrow up to $12,000.00 for up to 72 months. Certain restrictions apply, call 513-422-2392 for more details. In between paychecks & strapped for cash. Look no further, we can help! MASCU is now offering a Stretch Your Pay loan! You can borrow up to $500.00 and take up to 3 months to pay it back. Certain restrictions apply, call 513-422-2392 for more details. E-STATEMENTS ARE NOW AVAILABLE! Need to sign up for HOME BANKING? Call the credit union 513-422-2392 with your security PIN! YOU MUST CALL IN TO BE SIGNED UP FOR ESTATEMENTS. © Copyright 2017 Middletown Area Schools CU | All Rights Reserved.